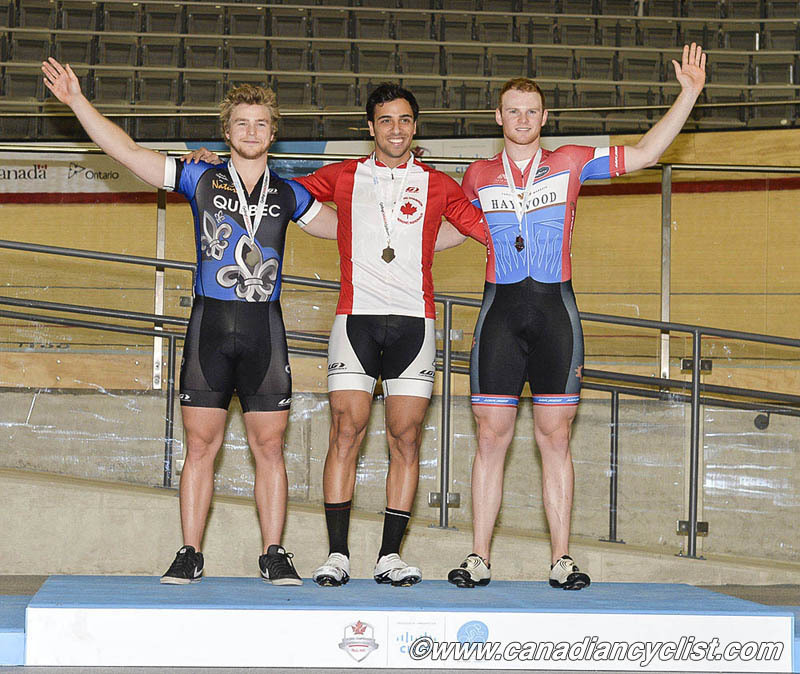 The Canadian National Track Championships concluded on Tuesday with the spectator favourite Keirin, held at the brand new Mattamy National Cycling Centre in Milton, Ontario. 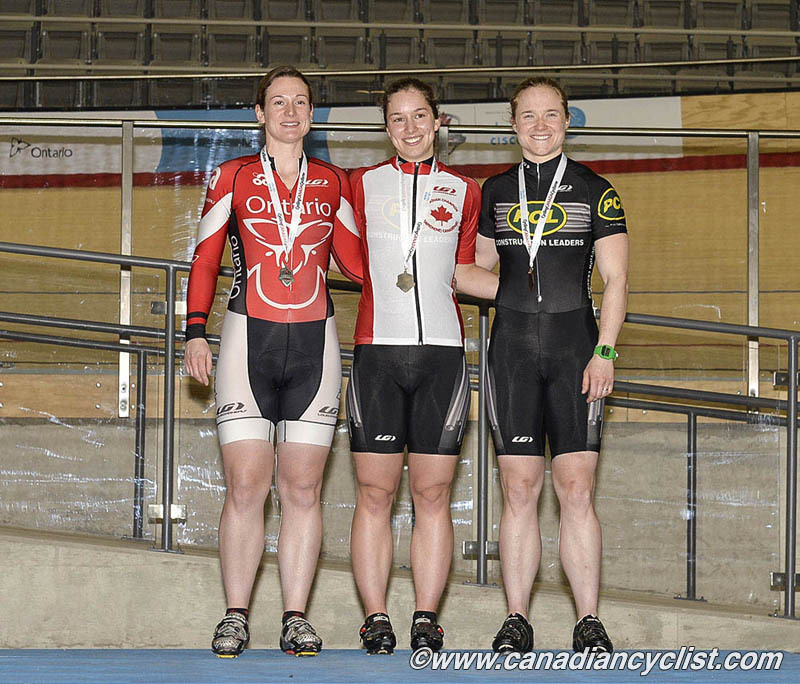 Monique Sullivan of Team PCL took her fourth national title of these championships in the women's race, while Joseph Veloce (Team Ontario) avenged his loss to Hugo Barrette (Equipe de Quebec) in the sprint by winning the men's title. The Madison, which was to conclude the Championship, was cancelled due to lack of teams. 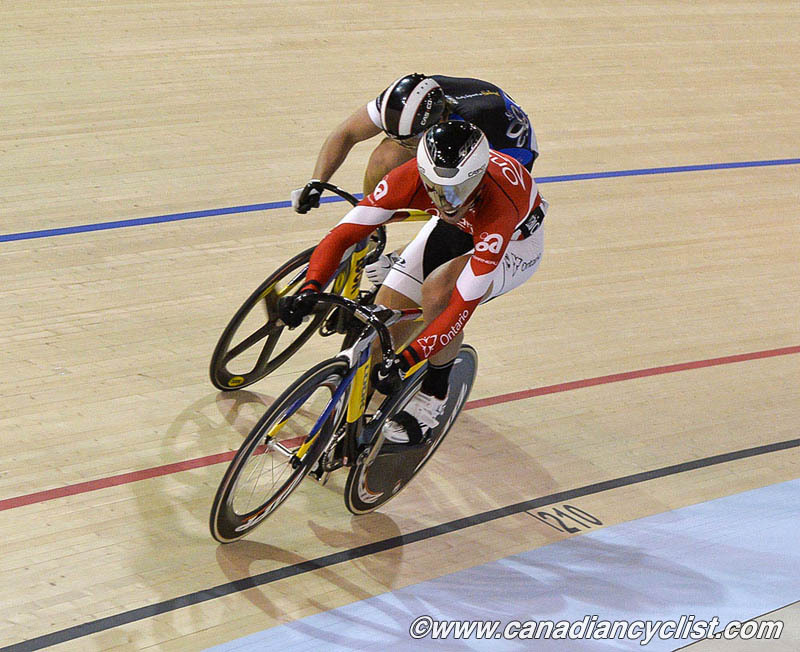 Sullivan had a bit of a scare in the women's race when she got boxed in at the bottom of the track after the pace bike pulled off, but backed off slightly and came over the top to launch a powerful attack in the final lap and a half to easily outdistance Sara Byers (Team Ontario). Kate O'Brien (Team PCL) rounded out the podium with third place. "I'm pretty happy," agreed Sullivan. "It was definitely my goal coming in to win all four titles. I was quite nervous for the Keirin, because anything can happen out there, and the girls have been riding really well. I got completely boxed in and didn't like it, so I put the brakes on and came around. It was the fastest way to do it, but it was a safe move." The men's race had to be restarted after a battle by Veloce and Barrette to get the spot right behind the pace bike saw them overtake it. Veloce got the holeshot on the restart, and led out the group after the bike pulled off. Evan Carey (Team BC) launched an early attack, forcing Veloce and Barrette to react. The pair quickly dropped the other four riders for the final lap in a drag race that saw Veloce hold off Barrette for the title. "I think we both went in with the same tactic," agreed Veloce, "we both wanted [to be on the wheel of] the bike. We both wanted to control the race and I just got to the wheel first. After that, I executed as I had hoped. It was a nailbiter to the end, but I just had my head down and was just going for the line."